This 2-hour class is a basic introduction to Jade Egg practice. This is a sacred practice for women that includes reverence and intention. It is important to begin with instruction and the right size egg. 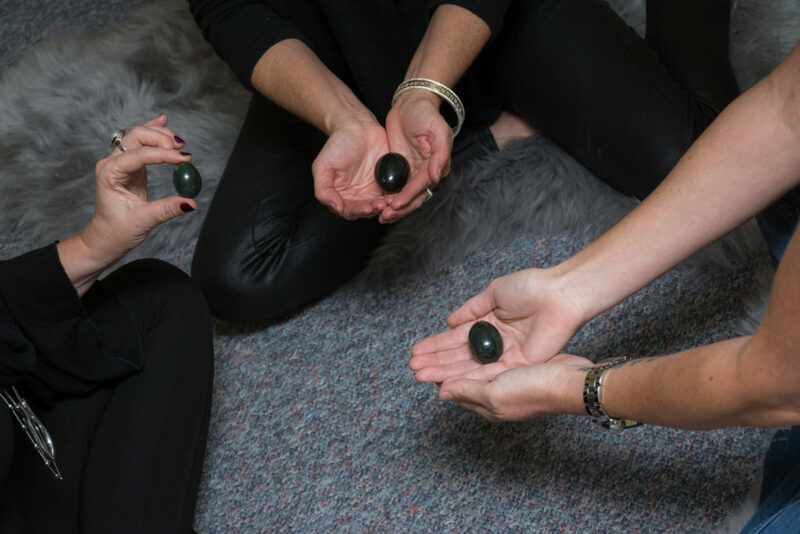 You will learn more about the Jade Egg practice and why you would incorporate it into your life. We will discuss the many healing benefits and how to safely get started. True healing begins from within. When you awaken and become more aware of the subtle sensations within your body, including your yoni; your life changes. It is an excellent opportunity to explore and connect with your feminine core more deeply. Attend this class to find out more, ask questions, and connect with other like-minded women. There will be three sizes of the best quality Canadian Nephrite jade eggs for you to look at and choose from with my guidance.